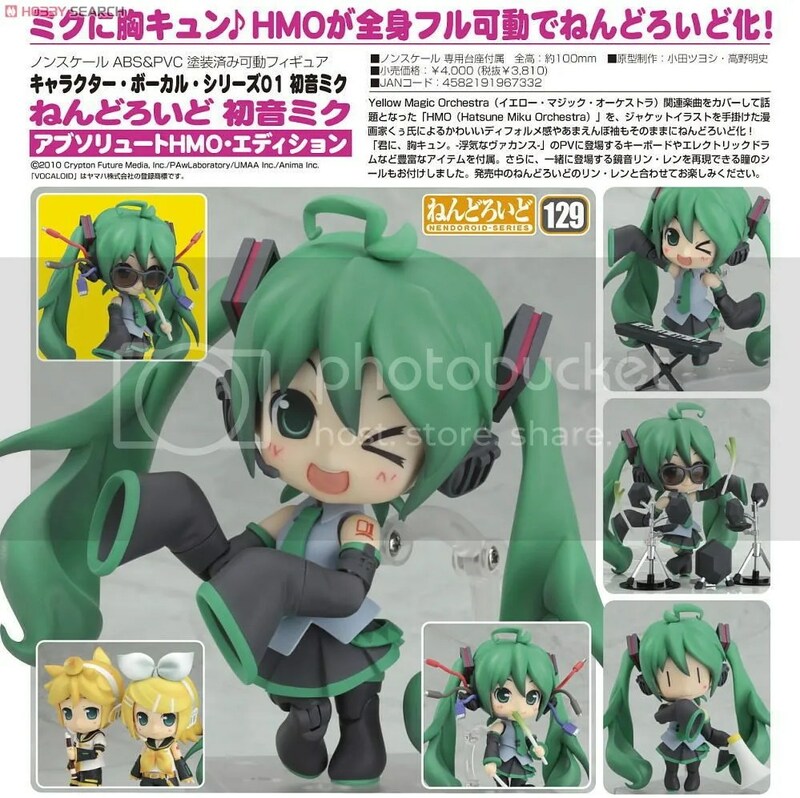 Beware Of The Fake Nendoroid HMO Miku | Wcloudx (kumo)'s Blog - Ramblings about Figures, Gunpla, & More!! Good Smile Company updated their Site with new additional information on some of the counterfeits that are currently on sales now. This time featuring ”Nendoroid Hatsune Miku Absolute HMO. Edition” by GSC. – Take note of the Inner Head Joint. Fakes have them blended together. – Take note of the Arm Cuffs. Fakes have them all green. – Take note of the Font Number on the shoulder. Fakes have different font on them, much thicker and closer to each other. – Take note of the Drum Kit Leg Stand. Genuines should be Silver and Black colour. – Take note of the Eye Iris & Pupil placement. Fakes are much closer. – Take note of the Hair Sculpt. Fakes have jagged Edges. – Take note of the Skin Colour. Fakes have much darker shade and tone. – Take note of the Hip Joints. Genuines should have Flesh colour. – Take note of the Drum Base Stand. Genuines have them reflective. – Take note of the Negi Stick. Fakes have them much saturated. This entry was posted on April 23, 2012 at 1:41 am and is filed under Figures, Good Smile Company, news. You can follow any responses to this entry through the RSS 2.0 feed. You can leave a response, or trackback from your own site. Though i think some experienced, attentive enough buyers might figure out something amiss with that Hip Joint and Font Number . Well, certainly not me, since i never bought a figure, and undoubtedly plenty other beginners who purchase their first Nen. Even more, a simple note “this is product of handmade crafting, some inconsistent are within expected” blah blah BS would render most of these moot anyway. And did i mention Photoshop and photography tricks ? Its not like i discourage these kind of posts, just want to point out they don’t really serve much purpose, unless you are buying that exact kit in question. o.o I got a real nendorid HMO Miku with fake parts, just the head and the hair peice, i have the real head and hair peice but i like the fake ones.. better.